We Provide Best River Rafting Package in Rishikesh, Uttarakhand India. River Rafting open in mid month of September and 30th June is last date for closed in Rishikesh. The thrilling experience of Camping in a jungle and Rafting at Rishikesh can be well realized at Rattapani Resort. 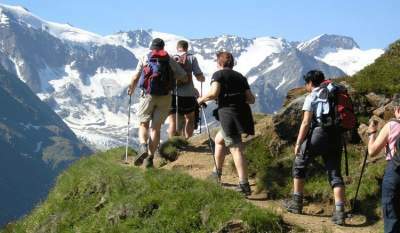 Garhwal is the most popular place in the Indian Himalayan range for trekking. Historically it is known as a important destination for centuries". Paintball a game of guts, grit and glory of speed stealth and strategy. Paintball Adventure Activity is a modern version of peek-a-boo. Asia's longest 1 km long Flying Fox. Flying Fox India. Jump Platform Designed by Ron Cranston of New Zealand. Uttarakhand is a natural place for the wildlife enthusiasts of the world to be. The reasons are simple but exciting. We provide Single , Couple , Family and Corporate Tours and Packages. Cottages is located on the bank of Tributary River Heval/Hem Heval River is 30 to 35 feet wide with a depth of 2 to 3 feet. Cottage is situated near Heval River in a peaceful valley on the outskirts of "Rajaji National Park." River Heval is at just a minute walk from the cottages. These are the Major Qualities of us that's why Our Customer loves us. We gives you best price ever for your happiness. We always loves our customers. Your smile is everything for us. We provide you our best and professional local guides. They will help you to know everything about Rishikesh. We are the best service providers in Rishikesh. We are always ready to serve better services to our customers. When you are with Rattapani Resort you forget about all your worries. We are here to helping you. Our mission is to provide reliance and excellence to our "Customers" promptly. "Amazing place to stay! My 2 days stay here was awesome. Starting from location of the resort, price, food, staff and the cleanliness of the resort, room ....everything about this place was amazing. Keep up the good work!" "It was a good experience with a nice and peaceful stay. As we went in August, we missed all tracking and rafting activities. Staff were polite and courteous. " "Great great place I ever visited in india. Great hospitality. Good behavior of all staff. Good food and garden location. Just excellent service.... "
"Nice and cool place to stay. Food is also good. Nearby river gives awesome experience..."
"Excellent n superb nice view, safe Resort and best food"
"Nice Service. We have been visiting here from past 3 years. Great place for a weekend gateway." "Simply A Place That Gives You a necessary break from your hectic days."